The Fancy Bears Hack: Will It Be the End of WADA? Top US athletes using hyper-focus drugs in hyper-focus sports. Is there a Ritalin epidemic? Under the newswires, at the water coolers of the world the conversation today is about how Vladimir Putin and a hacking group called “Fancy Bears” are dropping dime on the biggest cheating ring sport has ever seen. Of course Vladimir Putin has no time for pursuing cheats in world athletics, no time at all. But the rest of Russia, and Fancy Bears in particular, they have no intention of letting bygones be bygones. Humiliating an Olympic team, heaping unfairness on a whole nation, it has repercussions. I predict my countrymen, and a larger cadre of national athletics programs, are about to be revealed as low down, dirty rotten cheaters. Here’s why. I am a fairly typical American really. Back in my day everybody was into one sport or another. The days before video games and smart-phones would have been oh so boring, without the afternoon pick-up game of basketball, football, or baseball. Table tennis to badminton, croquets and throwing horse shoes, Americans love sports like nobody’s business. Well, at least we did back in the 60s and 70s. But in the late 70s and early 80s things began changing, a lot. The first time I ever entered a local public gym was in 1986, Weightlifting before then was a function of one team or another. We worked out at school or a stadium, and so on. It was in this “public” fitness sphere I first came across the sub-culture of doping. Without recounting my life for you, suffice it to say this culture was (and is) prevalent, massively influential, impinging on anyone and everyone associated with any kind of sports training. Chemical enhancement, anything that is perceived to give an athlete an advantage, it flows through the enlarged veins of the fit all over America. My colleagues back then, most of them, were giddy and red faced over their perceived edge over limitations. I tell you this so you will understand, cheating for Americans these days is not cheating at all. Enter “Fancy Bears” into the matrix of high octane no-holds-barred athletics. When my colleague called me yesterday an told me to follow @FancyBears, I thought he was out of it. “Add them and have fun”, he told me. Not comprehending, I hung up the phone and found in my Twitter messages a tweet to visit the website of these anonymous Russian bears. Magically, wonderfully, fortuitously some WikiLeaks-ish hackers in Russia tapped into the servers of the World Anti-Doping Agency (WADA), the agency mostly responsible for the banning of the entire Russian track & field team, and the utter humiliation of the Russian people over alleged doping activity. I say “alleged” because the real evidence in this case has never really fully been released to the public. To make this long story shorter, Fancy Bears will probably change all that in the days to come. But before we go there, let me reveal some things the reader does not know. The Fancy Bear leaks we see today reveal the confidential WADA files of four high echelon Olympic athletes. Gymnast Simone Biles, tennis players Serena and Venus Williams and basketball player Elena Delle Donne were all at Rio, and all of them were taking illegal substances according to the WADA test labs. All had “permission slips” too, or Certificates of Approval for Therapeutic Use. 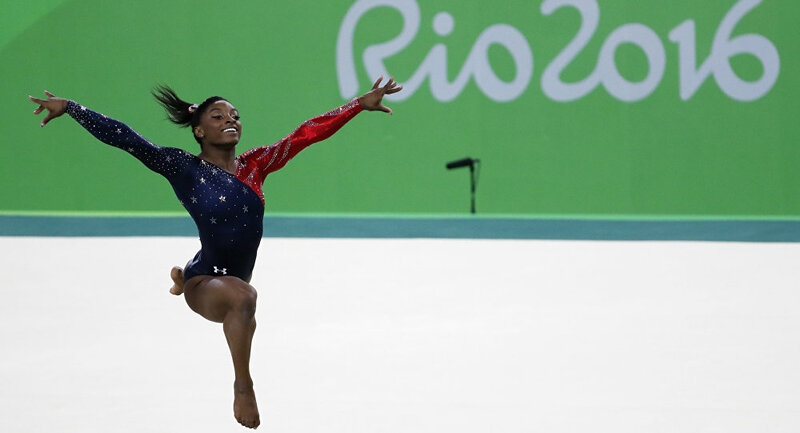 Biles won four gold and one bronze medal at Rio. Serena Williams was put out of the tournament in a “head scratcher” loss to Ukraine, and Delle Donne took home gold with USA basketball obviously. What is not so obvious to the average news consumer today, is the curious coincidences in the stories. Some of these athletes’ tests by the WADA approved doping labs showed levels of myriad banned substances. The most noted of these being prednisone and especially variants in the Ritalin family. Without and in depth pharmacology lesson here, prednisone is banned because the steroid can have a fairly massive effect on types of athletic performance (see this study). Other steroids and anti-inflammatory drugs dot the several athletes’ blood profiles too, but it is the Ritalin family of ADHD drugs that bear our scrutiny here. For those of you unaware, Attention Deficit Hyperactivity Disorder is a kind of pseudo-epidemic in the US. While the “disease” does have validity in a multitude of cases, and while medicating with Ritalin and other stimulants has shown promise, it’s fair to say ADHD is the easiest diagnosis anyone can get (see this report), in order to get stimulants like Ritalin. It is the use of Ritalin by athletes for enhancing performance we need to look at, and especially since the probability theory implied. Ritalin is a well known “dope” for certain types of athletic performance enhancement. It’s misuse to provide an “edge” in concentration specific athletics is of special importance here. 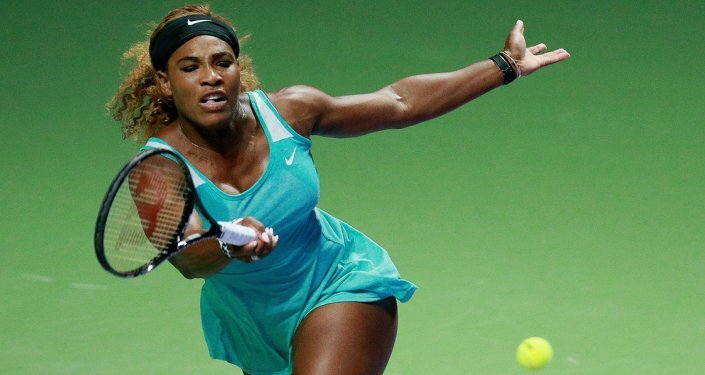 Women’s gymnastics, tennis, and basketball being unique for “focus”, the fact Major League Baseball’s legendary drug cheats used the substance enhances my inquiry here. Anyone who stepped into a batter’s box, all tennis players and basketball free throw shooters, and all balance bean competitors will understand how “hyper-focus” gives a leg up. This UC Denver study discusses uses of drugs like Ephedrine in gymnastics, and the increased adaptation of the illegal drug by US collegiate gymnasts. Now that your eyebrows are fully raised, consider Fancy Bears leaks to come. It is conceivable that four top US athletes at the Rio Olympics just happened to have been certified ADHD sufferers. The malady is so prevalent in the US, some experts say 20% of the population has some degree of the disease. As to why none of these four athletes revealed openly up front their use of these substances, this is anyone’s guess. After all, their medical conditions are their own business. From a PR perspective, WADA and the US Olympic Teams, the athletes themselves would have fared better to have “come clean” long ago. But this is subjective. What is compelling here is the added factor of “focus” and the specific kinds of athletic enhancement the ADHD drugs afford. Statistically, four world class competitors in the upper echelons of “attention” and focus-centric sports, all at the same Olympics, and all afforded special “free passes”, it’s just plain suspicious. Ritalin has been misused extensively for enhancing performance. This is one reason WADA and Sebastian Coe’s IAAF, the IOC and other sports authorities have banned its use. And now to the point. If I were any of these ladies, I’d have the documentation of my diagnosis for ADHD made public since its early discovery. The western media seems to be scrambling now to rescue Simone Biles’ reputation, but not with any real documentation. The Washington Post and others are reporting on a Tweet by Biles where she claims she has been taking ADHD drugs since she was a kid. Excuse me, but Simone is only 19 now, so she’s still a kid in most people’s eyes. The point is, the cat is out of the bag, and maybe it should have been all along. ADHD is not a crime, or anything to be ashamed of, so why the secrecy? Finally, is this Fancy Bear revelation just the beginning? Are we going to find out the Olympics have now caught up with Major League Baseball, where an epidemic of ADHD saw almost 10% of players diagnosed? I think the answer is “yes”, Vladimir Putin – uh, I mean the Fancy Bears are not going to let this unsportsmanlike conduct stand. Sports fans everywhere should not let bygones be bygones either. Cheaters are not supposed to prosper. #2Want to Become a Sputnik Blogger? Find Out How!